Distance from the Liberty Stadium: 254 miles ~ 4 hour 30 minutes. Up to 3,000 away fans are in the John Charles Stand, towards the South Stand. The seating is a old wooden and plastic seats, the leg room is very tight and there are a number of pillars along the front of the upper tier. Burgers and pies are sold also Fosters, John Smith’s Bitter, Strongbow and Strongbow Dark Fruit plus red and white wine. From shopping and dining, to contemporary arts and a busy nightlife, Leeds has many things to do. The compact city centre is easy to explore, and has great architecture like the Leeds Town Hall, and the Victoria Quarter. There’s entertainment, sport, theatre, heritage museums and galleries. Many of the attractions are free, so you can enjoy time in Leeds without it costing a fortune. With Valentine’s Day falling on the day after the game, you may want to consider making it a romantic break, in this lively Yorkshire city. The nearest hotel to Elland Road, is Premier Inn Leeds City, Elland Road (LS12 6LX) which is 0.3 miles away. If you fancy staying in the city centre, then there The Queens (LS1 1PJ), Park Plaza Leeds (LS1 5NS) and Travelodge Leeds Central (LS1 4AD), are a good bet, and all of them are around 2.3 miles away from the stadium. There is also the Travelodge Leeds Central Vicar Lane (LS1 6PJ) and Ibis Styles Leeds City Centre Arena (LS2 8NJ), which are both 3.2 miles away from Elland Road. The day after the game is Valentine’s Day and Leeds boasts the UK’s largest Valentines Event, the famous Valentines Fun Fair, featuring thrilling attractions like the Top Scan, a 33 metre observation wheel, 44 metre Sky Swing and for the first time the New York New York SuperBob. The fair runs from Thursday 14th February until Sunday 24th of February on the Elland Road Car Parks alongside Leeds United Football Club. Thanks to Mal Reid for the information about the event. The very funny film Pride is showing at Leeds Central Library (LS1 3AB) on the Tuesday (12th) at 18:30, tickets are £5. The famous Northern play Kes is performed at Leeds Playhouse (LS2 7UP) from 11th – 16th. Tickets are £13.50-£31. Thursday has Professor Brian Cox Live is at the First Direct Arena (LS2 8BY) with a talk about the solar system. Tickets are from £40.60. It’s War Games at The Royal Armouries Museum (LS10 1LT) from 13th – 24th. There’ll be hi-tech on-screen games and the more traditional dice and counter games, strategic war games old and new as well as combat demonstrations and dramatic performances, with entry being free. Next to the away entrance is Howards, a small bar for away fans only. It’s open two hours before KO; away tickets need to be shown. Outside the North East corner of the stadium, a fan zone has live music and a number of food and drink outlets. Although mainly for home fans, away fans may be allowed entrance. The Drysalters (LS11 8AX) is a ten minute, 0.5 mile walk from the ground. It serve real ale and has large screens showing football. A few doors down from the Old Peacock pub (behind the South Stand, home fans only) is Graveleys fish and chips (LS11 8TU), and is busy on match days. Whatever you order, asks for scraps, which are the little bits of batter that fall off the fish, sausages etc. There’s also a McDonalds (LS11 8BY) across the road from the East Stand. The city centre has many eating and drinking places, including Browns (LS1 8EQ), The Victoria Hotel (LS1 3DL), The White Swan (LS1 6LG), The Angel Inn (LS1 6LN) and Whitelocks Ale House (LS1 6HB), all are 2.3 miles from Elland Road. Under the railway bridge there are entrances on either side to a couple of very large car parks (£6). Surprisingly the traffic leaving the car parks leave easily after the game. Park in Car Park A, they normally put away fans coaches there and are let them out quite quickly. 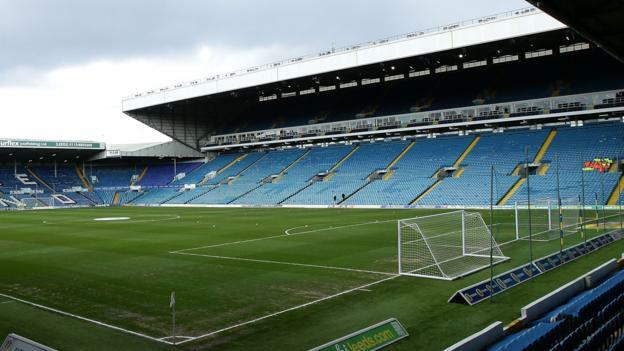 Alternatively if you want to avoid the crowds, you can also choose from a selection of private car parking spaces near Elland Road – including around 21 parking spaces which you can reserve for your visit from just £3.00 for the day. Leeds Railway Station is a 2.1 miles, 35 minute walk, either get a taxi or one of the shuttle buses (£2.50 return) running from near the station. The pick up point is Sovereign Street, opposite the Hilton Hotel (on Neville Street), a two minute walk from the station. Buses drop off at the corner of the South and East Stands. The 5 to 6 hour train journey to Leeds leave Swansea at 10:55, 11:29, 11:55 and 12:29. There are no train back to Swansea after the game, so you’d need an overnight stay.